TRIPOLI, Libya U.S. special forces on Saturday carried out a raid in the Libyan capital to capture an al-Qaeda leader linked to the 1998 American Embassy bombings in East Africa and wanted by the United States for more than a decade, U.S. officials said. The news of the capture was previously confirmed by CBS News. The Pentagon identified the al-Qaeda leader as Nazih Abdul-Hamed al-Ruqai, known by his alias Anas al-Libi. His capture would represent a significant blow to what remains of the core al-Qaeda organization once led by Osama bin Laden. The Pentagon's chief spokesman George Little said al-Libi "is currently lawfully detained by the U.S. military in a secure location outside of Libya." He did not disclose further details. A senior U.S. military official said the raid was carried out by the U.S. Army, which has responsibility for counterterrorism operations in North Africa. The official spoke on condition of anonymity because the official was not authorized to speak publicly. Family members said gunmen in a three-car convoy seized al-Libi outside his home in the Libyan capital, Tripoli. Al-Libi is believed to have returned to Libya during the 2011 civil war that led to the ouster and killing of dictator Muammar Qaddafi. His brother, Nabih, said the 49-year-old was parking outside his house early Saturday after dawn prayers, when three vehicles encircled his vehicle. The gunmen smashed his car's window and seized his gun before grabbing al-Libi and fleeing. The brother said al-Libi's wife saw the kidnapping from her window and described the abductors as foreign-looking armed "commandos." The U.S. official said there were no U.S. casualties in the operation. The official was not authorized to speak publicly and requested anonymity. 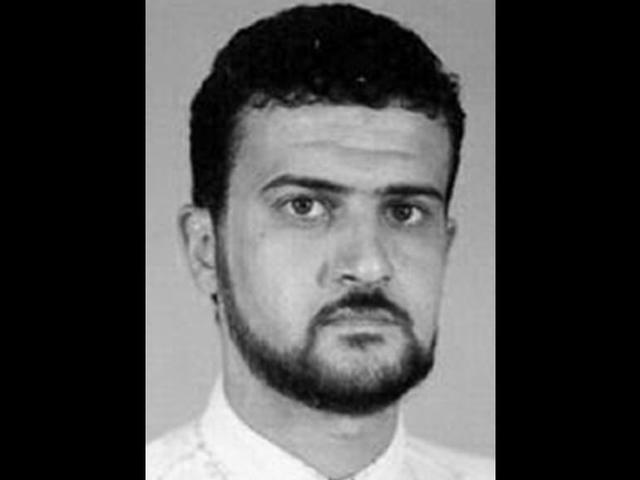 Al-Libi is on the FBI's most-wanted list with a $5 million bounty on his head. He was indicted by a federal court in the Southern District of New York, for his alleged role in the bombings of the U.S. Embassies in Dar es Salaam, Tanzania, and Nairobi, Kenya, on August 7, 1998, that killed more than 220 people. Libyan officials did not return calls seeking comment on al-Libi's abduction and the U.S. issued no immediate statements. His brother said he failed to contact authorities over the matter. Al-Libi was believed to be a computer specialist with al-Qaeda. He studied electronic and nuclear engineering, graduating from Tripoli University, and was an anti-Qaddafi activist. He is believed to have spent time in Sudan, where Osama bin Laden was based in the early 1990s. After bin Laden was forced to leave Sudan, al-Libi turned up in Britain in 1995 where he was granted political asylum under unclear circumstances and lived in Manchester. He was arrested by Scotland Yard in 1999, but released because of lack of evidence and later fled Britain. His name was included on the FBI's most wanted terrorists list that was introduced shortly after the Sept. 11, 2001, attacks. There were a number of reports of his arrest, which were later denied by U.S. officials. In 2007, Human Rights Watch said it believed he was among about two dozen people who may have once been held in secret CIA prisons. The group said it believed he was held in Sudan, but didn't elaborate, and said his whereabouts were later unknown. Al-Libi's family returned to Libya a year before the revolt against Qaddafi, under an initiative by Qaddafi's son Seif al-Islam who sought to reconcile with militants who renounce violence, a close friend said, refusing to identify himself because of security concerns. The friend said al-Libi's son was killed during the civil war as rebels marched on the capital, ousting Qaddafi. His son's name is scribbled as graffiti on the walls of the street where his family resides, in an affluent neighborhood in Tripoli. Since Qaddafi's fall, Libya has been rocked by lawlessness, as militia groups have challenged the central government's power, and assassinations and revenge attacks spread. Last year, militants attacked the U.S. Consulate in the eastern city of Benghazi, killing the U.S. ambassador and three other Americans. According to official documents, al-Libi is not among those wanted for that attack.